I love accessories they can completely transform an outfit. It is such an affordable way to revamp your wardrobe without having to buy any new clothes, perfect for when your on a budget. So I thought it would be interesting to show you all my favourite accessories at the moment and how I style them. I've tried to choose my favourite pieces out of each category to show you how varied and diverse accessories can really be. The options really are endless! Hats are honestly one of the best accessories, not only are they stylish and fun but they have many practical uses too. Bad hair day, put a hat on. Too cold, put a hat on. Suns out, put a hat on! There's always an occasion to wear a hat. 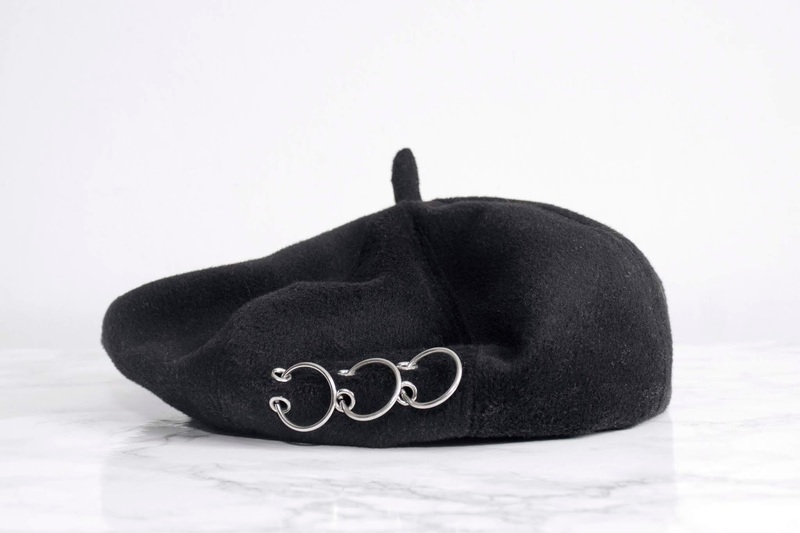 I personally have a sizeable collection that can be worn throughout the seasons but right now I am just loving berets. This particular one is my fav it's so 90s and I love all the ring detailing on the side. I've worn it many a times on days when I just cannot be bothered to sort my hair out! I do like a practical accessory. Check out how I styled it here, here and here, I warned you, I've worn it a lot!! When it comes to belts I use them more as a decorative item rather than to hold up my trousers. Belts are a really great tool to break up an outfit and also a brilliant way to accentuate the waist. Even a basic, no fuss belt does this however, I really like my statement belts. From western style belts to belts with double buckles the more interesting the better. My current favourite is this one with a rather large ring detail, I really like how it draws the eye to the centre of the outfit. Here is one of the ways I have used it to style up a look. To be honest I have way too many bags, but I just can't resist them! So many different styles and sizes! I like to have options because you don't always need a big bag, so why lug one around when its not needed? With this bag I feel like I've found my happy medium, it's not too big and not too small, just right for everyday use. 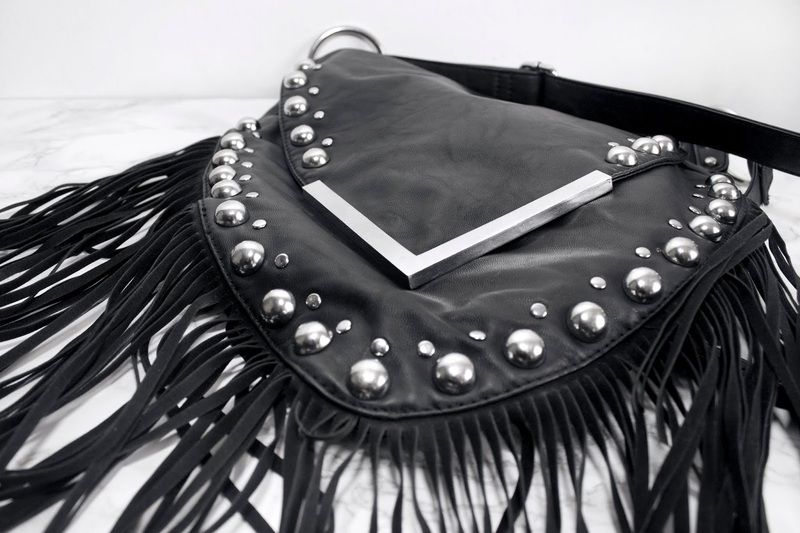 I was so happy when I found this shoulder bag in a charity shop for £5.99 It was just what I was looking for and it's so cool with all its tassels and studs. What I like about charity shop finds, other than the bargains, is that items like this are great when they are worn in, it really gives character to the bag and I didn't even have to do it myself! Charity shops are a great way to find accessories, I've found so many quirky and unique pieces over the years and they are just so cheap! I'm a 90s child I grew up on Spice Girls and Sabrina the Teenage Witch. I love 90s fashion so naturally I love my chokers. From tattoo chokers to spiked collars I've had them all! 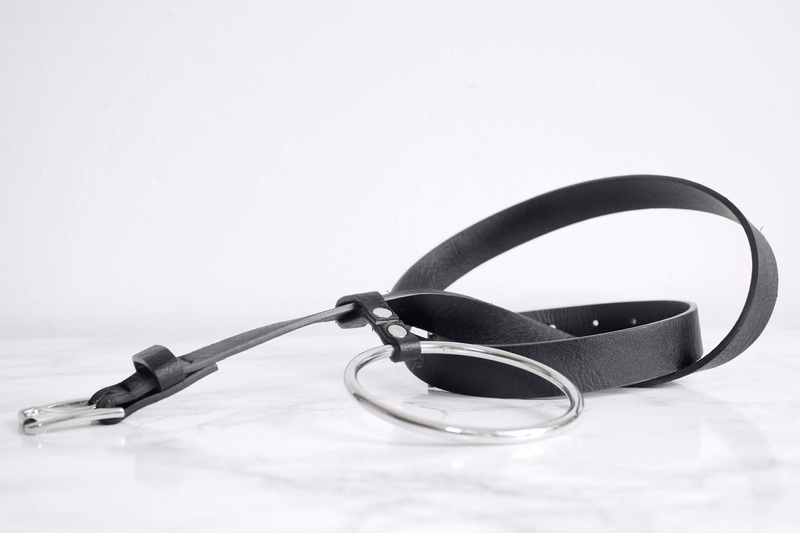 But my current favourite has to be this O-ring choker. 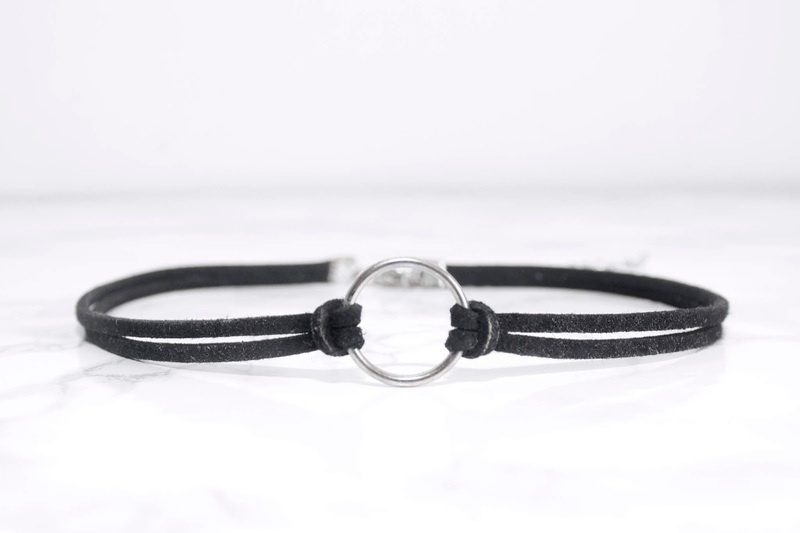 As far as chokers go this is a pretty dainty one, I think it's great for everyday wear. I like to wear them when I wear lower cut tops or v-necks, as I find that my neck looks pretty bare when it's exposed like this. It's also a pretty good hack for when your foundation doesn't match your neck as you only really have to blend it down to where your choker starts!! Now I don't know if you can class shoes as accessories as they are pretty essential! But for the sake of this post lets say they are. I have always had a pretty big shoe collection ever since I was a teenager, back then I just had many pairs of slip on Vans and Converse high tops. Now my collection is a lot broader and much more diverse. 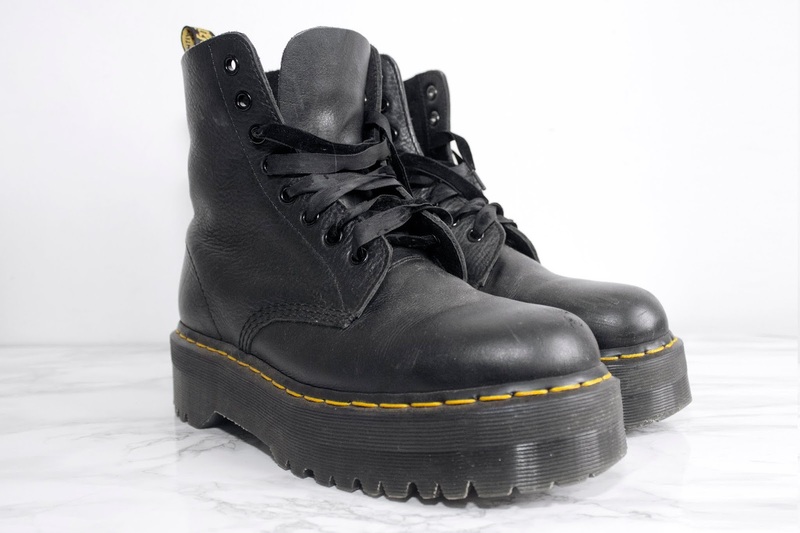 It was hard trying to choose a favourite pair but in the end I settled on the Dr Marten X Lazy Oaf collaboration boots. I pretty much wear these everyday and they work with so many outfits instantly giving my look a more edgy and badass feel. I think that a lot of people underestimate the impact shoes can have on a look they can completely change the vibe of an outfit! Check out all the different ways I've worn these here, here and here. From one of the most practical items to probably one of the least. Rings may not be the most useful accessory but they can be used to continue your look beyond your clothes adding some extra drama and interest to your outfit. I am loving these stack rings at the moment, when it comes to rings I tend to wear loads, I go all out! 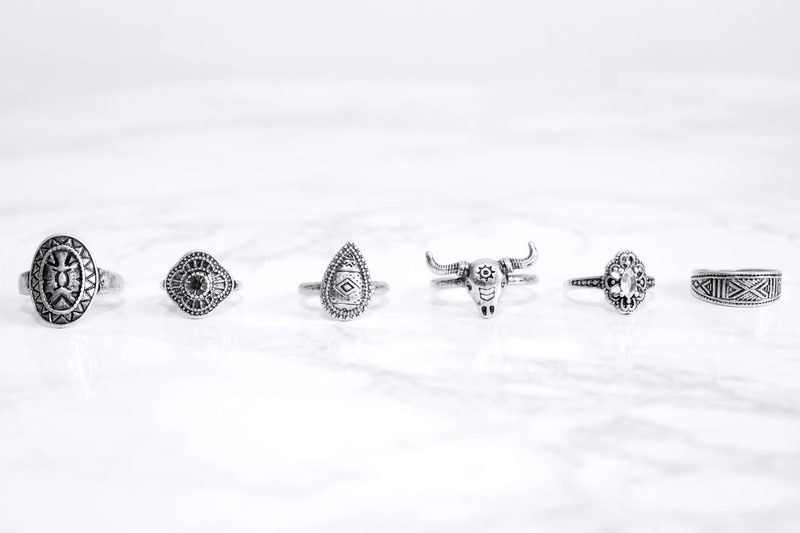 What I love about stack rings though is that you can have a mixture of different designs and sizes from thumb rings to midi rings, it really adds dimension and uniqueness to your look. The leg harness, now this is a more recent discovery as far as my accessories go. I noticed quite a few people I follow on instagram were wearing these and I loved how cool they looked, I had to get one! What I like about this is that it can be worn with practically anything, from skirts and shorts to trousers and dresses. It can really refresh an older item of clothing giving it a new lease of life. Its surprising how much the right accessory can elongate the life of your clothing, it's like giving it an upgrade which can be a lot cheeper in the long run than buying new clothes. Here are a few different ways I've worn this. 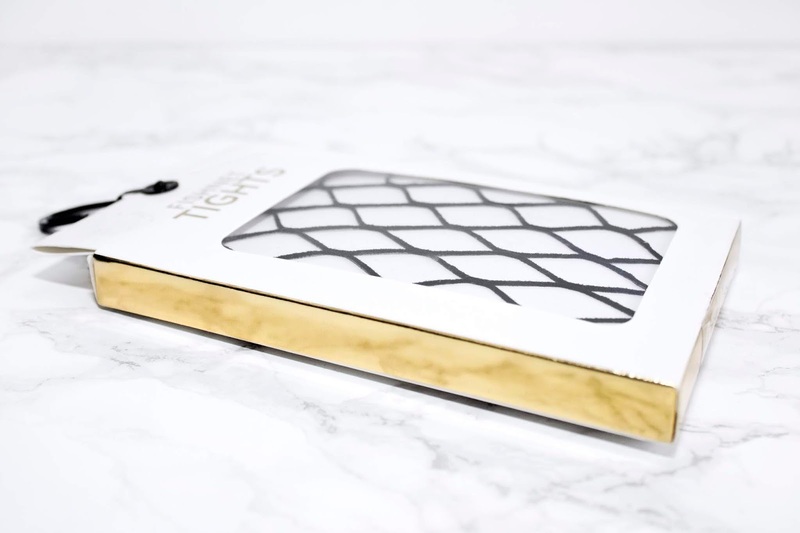 There are so many fashion tights out there right now in lots of different designs, deniers, patterns and colours, there is so much choice. But for quite a few years now my favourites have been these oversized fishnets. Now they don't really keep your legs warm but they look so good under dresses, skirts and even ripped jeans. If you want to grunge up and look and make it a bit more edgy these are the tights for you. Check out how I've styled them over the years, here, here and here. Again just like everything else I have many pairs of sunglasses. I love to have loads of different styles, shapes and sizes as you never know what's going to work with what outfit, I like to be prepared! The thing is sunglasses don't need to be expensive, most of mine are either from Primark or Ebay. I still have glasses from Primark that I brought over 5 years ago! It goes to show that if you look after your stuff, even cheap items, they can last a long time. 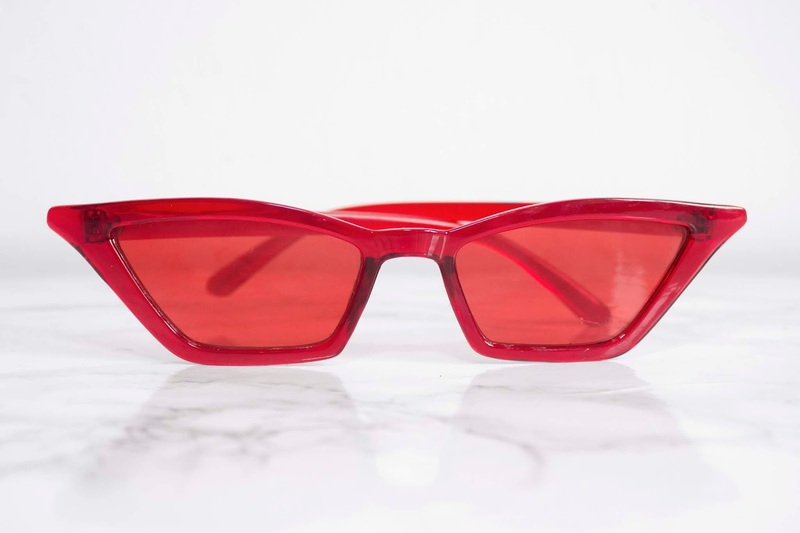 This year though I have been loving these retro red-tinted cat eye glasses. They are so quirky, which is something I generally look for in sunglasses! I like to wear all black so this pop of colour really grabs your attention. Here's how they look on. And lastly but not least, here is one of my favourite necklaces. 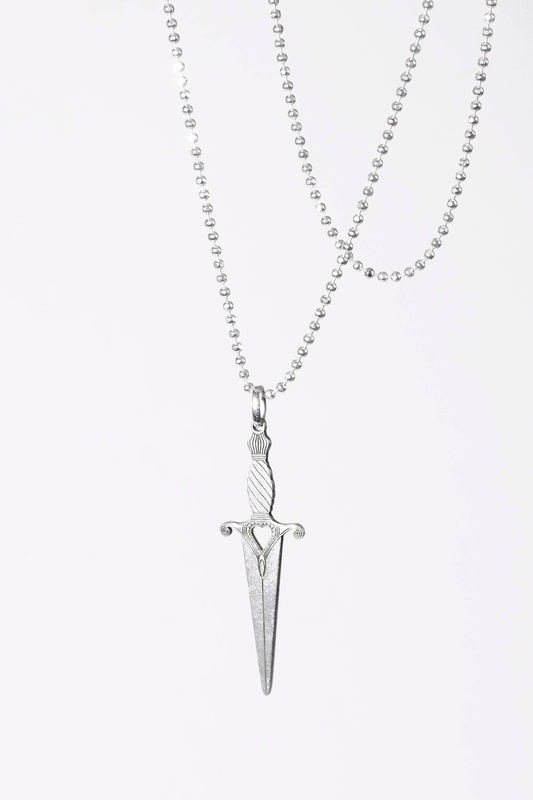 Necklaces are a great way to add points of interest to your look. I tend to wear them a lot more when I'm wearing a plain top as it can make a basic outfit look a lot more interesting and dynamic. I also like to layer this up with other necklaces of different lengths creating my own unique statement piece. Accessories are a brilliant and affordable way to keep your outfits on trend without having to keep up with fast fashion. They can really make a high street outfit look more unique and interesting. The thing with accessories is that you can spend how much you want, you can keep to a budget or splash out on investment pieces that will last you for years and years. Keep it clean and simple with a few well placed minimal pieces or go all out with some crazy over the top statement items, it's up to you. But I think that everyone should have a decent collection of accessories they can choose from as it can really polish up and complete your look. So that was my top ten! I hope you enjoyed it! What's your opinion on accessories and do you have any favourites?